Transportation Alternatives is setting out create a vision for the future of biking in NYC, and it wants your help. Over the next six months, TA will be collecting ideas from thousands of New Yorkers, starting with an online survey launched last week. 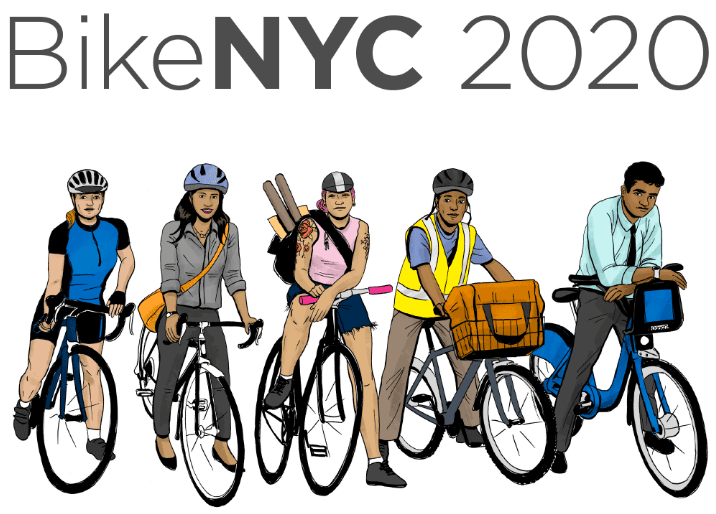 The BikeNYC 2020 campaign aims to understand the bike infrastructure priorities of the 778,000 New Yorkers who say they bike regularly — as well as those who may be interested in biking but choose not to ride on city streets. TA plans to release a report in the second quarter of 2017 based on the survey results. White said the initiative won’t create a “master plan” for NYC’s bike network. Instead, the intention is to develop a better understanding of what New Yorkers want from bicycling in the city. “Our efforts today have really most often been informed by our members, by individuals who subscribe to our communications, certainly by data, but I think there’s going to be interesting information about why people are riding, what they’re afraid of, what’s holding them back,” he said. The online survey takes 10 minutes or less to complete. Participants identify with one of four categories (“bike fearless,” “bike love,” “bike curious,” or “bike humbug”), then answer questions according to the category they select. People bike regularly get multiple-choice questions like, “In the past month have you experienced the following?” Folks who shun cycling are asked why they choose to do so (i.e. the lack of protected bike lanes). The BikeNYC 2020 campaign will also incorporate significant on-street outreach and a survey of regular NYC voters by the polling firm Penn Schoen Berland. You can take the survey at BikeNYC2020.org.